Professor Maria Garcia de la Banda was awarded her PhD in 1994, at the Faculty of Informatics in the Technical University of Madrid, receiving the faculty’s prize for the best PhD thesis that year. She then moved to Australia to work as a Research Fellow first at the University of Melbourne and then to Monash University. In 1997 she was awarded a prestigious 6-year Logan Fellowship by Monash University for her research in constraint logic programming languages, after which (2003) she was offered a tenured position at Monash. In 2009 she become the Head of the Caulfield School of Information Technology, and since 2012 is the Deputy Dean of the Faculty of Information Technology at Monash University. Maria has an outstanding international reputation as a researcher in the areas of Logic Programming, Constraint Programming, Program analysis and Transformation, and Bioinformatics. In 2005 she was elected as one of the eight members of the Executive Committee for the Association of Logic Programming, the professional society for logic programming founded in 1986. Also in 2005 she won, with Peter Stuckey, the International Constraint Modelling Challenge. She was Program Co-Chair of the 2008 International Conference in Logic Programming, and since 2010 she has been Area Editor of the Journal of Theory and Practice of Logic Programming. She is a regular member of the program committees in the best conferences of her area, and a regular reviewer for the main journals. 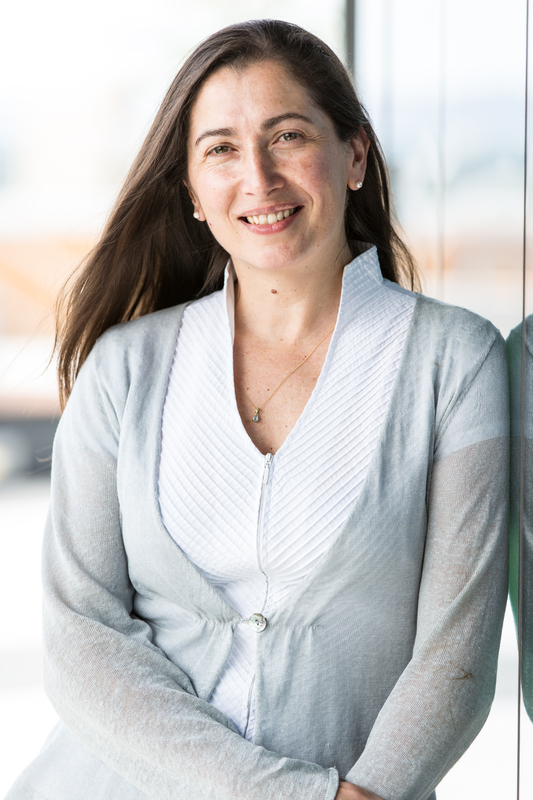 Maria has been Chief Investigator in 9 Australian Research Council grants (2 cross-Faculty), Principal Investigator in a National Health and Medical Research Council program, and participated in 5 European Projects. She has more than 70 refereed peer-reviewed papers with over 2,300 citations. I had a 4 month break with my first child and a 9 month break with the second one. While I was lucky enough to already have a relatively successful research career by then (I was 35 with the first child and 39 with the second one), it was still incredibly tough and I was very worried I would not be able to get back on track. Two things helped me the most. The first one was my partner, also a researcher in Computer Science, who has supported (and still supports) me all the way. Once I started going back to work, he shared the child duties with me 50-50. He stayed at home as much as I did, dropped and picked up the kids as much as I did, and cooked, washed and parented as much as I did. That was invaluable. 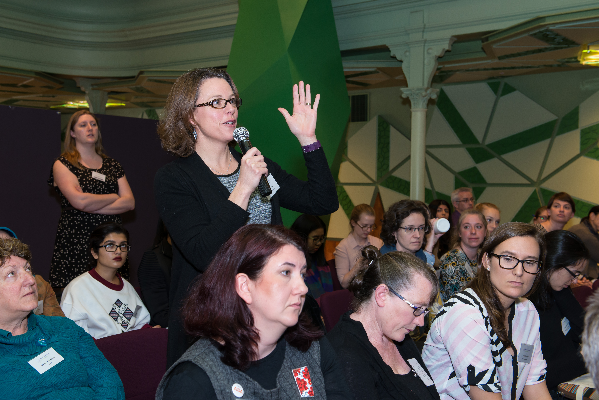 The second most important component was my University, which made sure I had childcare available at work, a private space to express milk, flexible time to take care of my kids, and an entire organisation ready to help when I needed it. I never felt disadvantaged for being a woman or having kids. How do you cope with loss or rejection (e.g. rejected papers, non-funded grants, loss of personnel)? I still don’t cope very well (it still hurts, every single one of them!) but I have learned to focus on using the reviews as much as I can to improve the paper or the grant application, and to just keep on planning the next step rather than looking at the last one. I have also learned to celebrate the successes much more (I used to mop about the rejections while taking the successes for granted) and to be very considerate when writing my reviews (I say what needs to be said, but in the most positive way possible – I was a bit too direct before). I don’t have a mentor but I have a coach who helps keep me sane. He has given me two very importance pieces of advice. The first one was that for every important task that needed to be done there was a perfect person for the job and I just needed to find the person, rather than trying to do the task myself. This has considerably improved my delegation strategies and increased the number of tasks that can be done well and on time in my Faculty. The second one was to take care of myself and make sure my health (both physical and mental) does not come last. I am still trying to successfully implement that one! If I had to point to one it would be communication. Communicating the value of research (both mine and those of the members of my Faculty) has been critical for my career both internally (to others in my Faculty and University) and externally (to colleagues and people in industry and government with whom we collaborate). Communicating well with my students has also been fundamental to get them engaged with the material and thus learn better. And finally, communication has been key to my work in administration, from communicating regulatory changes to exciting new opportunities; from good news to not so good ones. Keeping communication flowing and doing so in a positive way, has been a big focus of my administrative career.